FRIENDSHIP SYSTEMS develops software products for the design and optimization of flow-exposed products. Besides our flagship product CAESES®, we can provide browser-based applications (web apps) for fast and simple usage, as well as tailor-made CAE solutions for your individual requirements. Robust variable geometry and efficient CFD-driven shape optimization! CAESES® stands for “CAE System Empowering Simulation” and its ultimate goal is to help engineers to design optimal flow-exposed products. 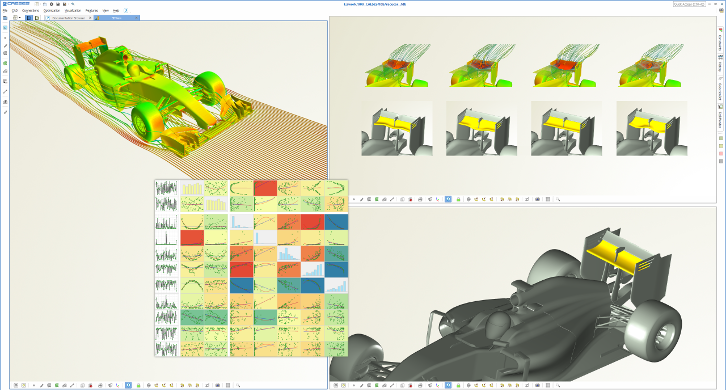 This software solution provides you simulation-ready parametric CAD for complex free form surfaces, and targets CFD-driven design processes. These specialized geometry models are perfectly suited for automated design explorations and shape optimization. We offer browser-based solutions where we can wrap your flexible geometry model into an easy-to-use browser interface. There is no need to learn a new software to make use of the setup.